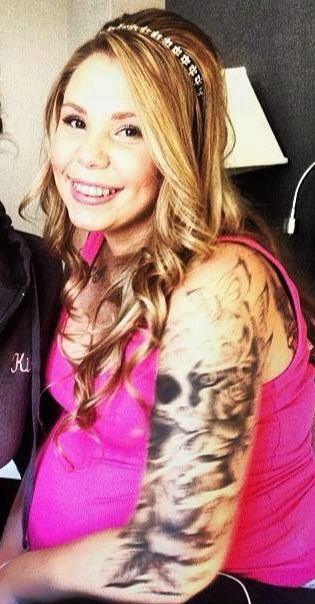 It’s Kailyn Lowry’s Wedding Day! Photos! Today is the day! It’s September 21st and that means not only is it almost officially Fall but it’s Kailyn and Javi’s Wedding day! The two officially go hitched a year ago before Javi joined the Air Force, but now they are finally able to have the big wedding of their dreams! The wedding took place at an aquarium, Kailyn and Javi were surrounded by fish tanks and even sharks! Kailyn and Javi love the sea, Javi even surprised Kailyn with an underwater shark adventure at that aquarium which was featured on an episode of Teen Mom 2. Kailyn tweeted first thing this morning “IT’S OUR WEDDING DAY! @JaviM9” I think it’s safe to say that kail is extremely excited about today. I must say though, she is handling wedding stress extremely well, keeping her chipper attitude even while 7/8 months pregnant! According to Us Weekly Kailyn and Javi had their first dance to “A Thousand Years” by Christina Perri. It was also revealed that kailyn had a special dance with her son Isaac to “My Wish” by Rascal Flatts! For dinner the guests enjoyed filet mignon. Kailyn and friends also had a blast with a photo booth! Kailyn and Javi are perfect for each other and I’m sure they will be in it for the long haul. Congratulations you guys! Check out some behind the scenes photos from Kail and Javi’s wedding! Previous Previous post: Teen Moms Bump Watch! gorgeous wedding Kail and Javi! Hope you had the time of yourself you look beautiful pregnant in the wedding dress and love that you kept your tattoo uncovered. Congrats you guys!